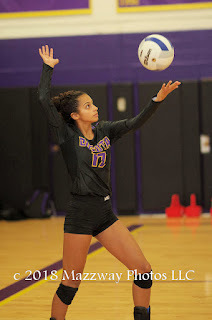 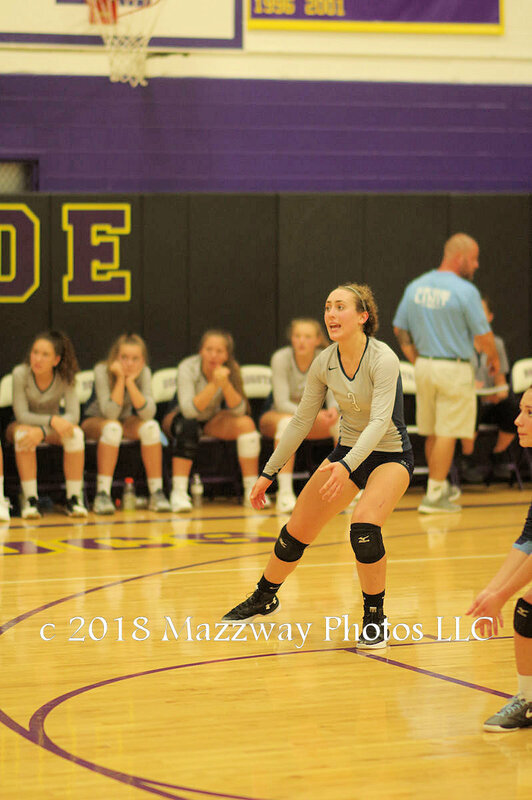 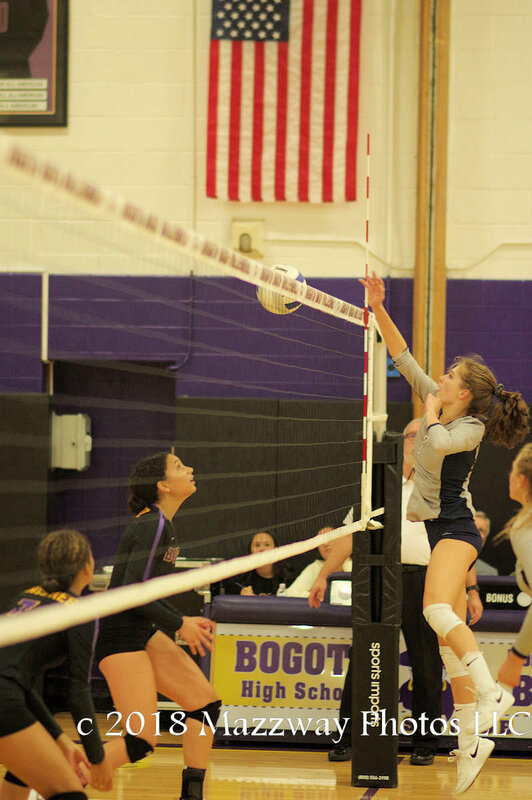 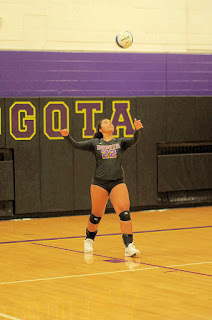 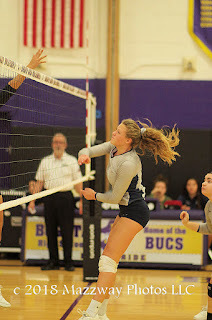 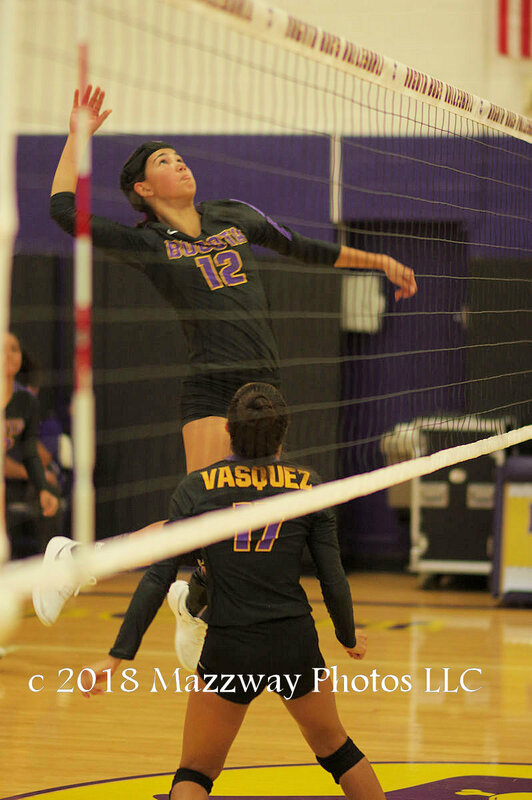 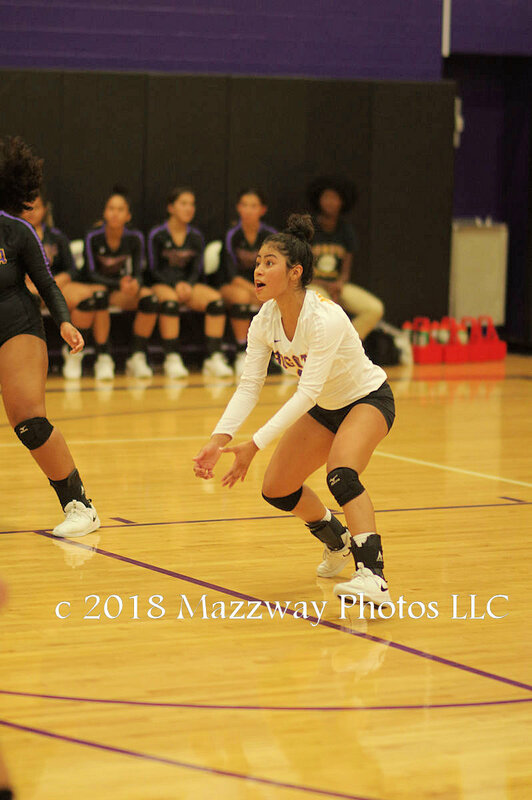 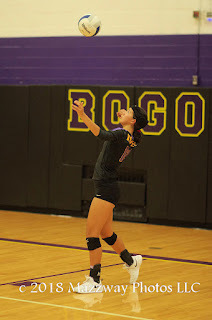 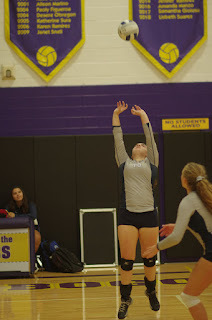 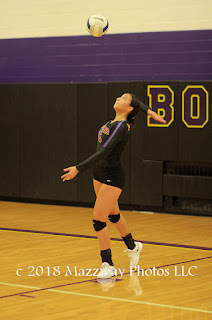 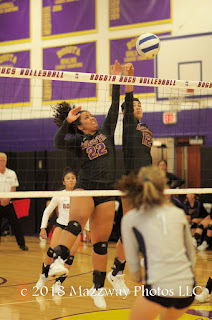 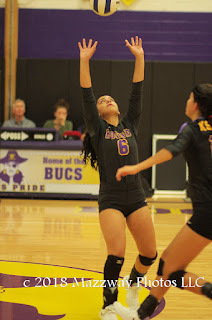 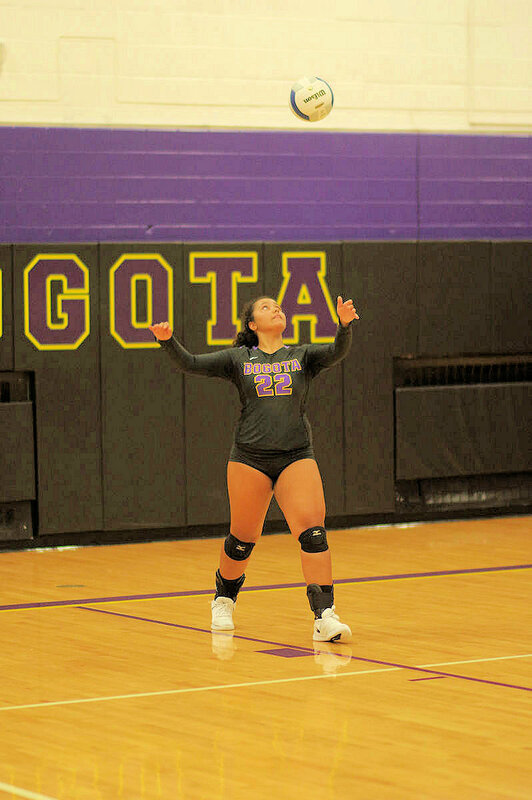 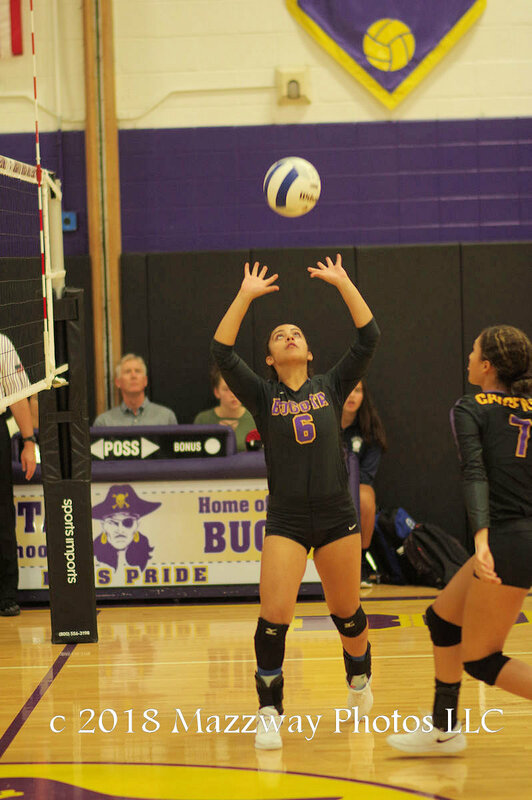 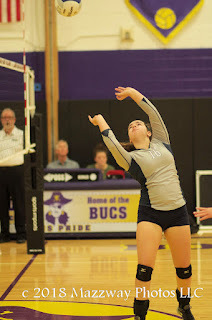 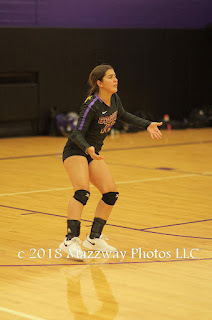 On Friday-21-September the Bogota Lady Bucs Volley team host the Lady Wolfpack from West Morris Central. 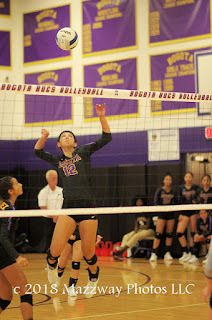 In a high powered competitive match Bogota would work their way to a 2-1 (19-25: 25-16:25-23) win. 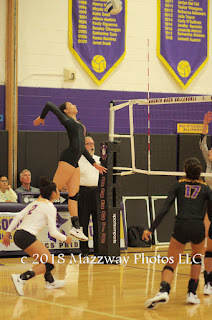 The high point of this match was, with the victory, Bogota Head Coach Brad DiRupo would earn his 500th win in Women's Volleyball. In keeping with his team first philosophy, he did not inform the players until after the milestone was achieved. 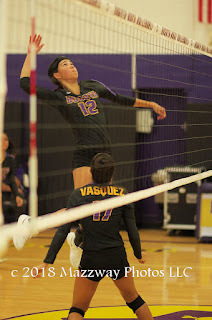 The match itself was an example of his 19 years at the helm of Bogota Volleyball. 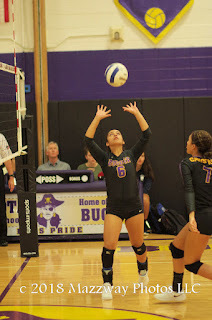 In the first the Lady Bucs would have several 3 or 4 point leds. 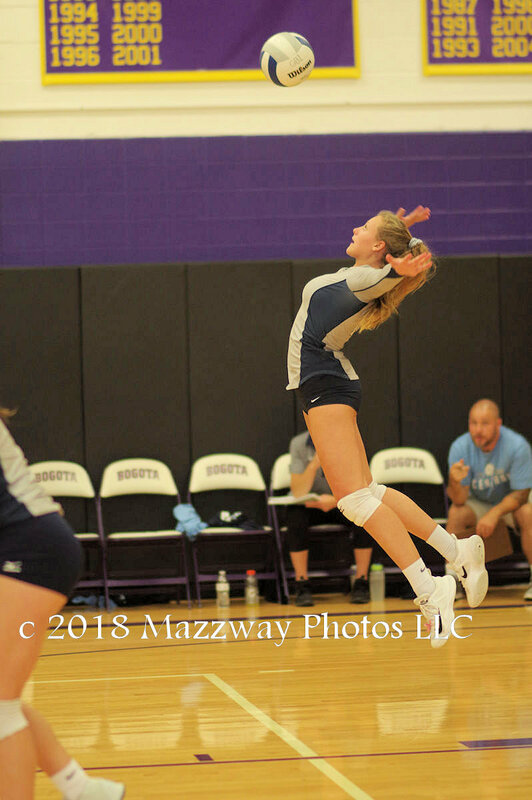 West Morris would work their back to tie the game at 12. 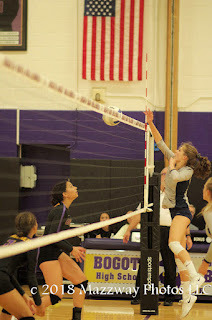 After that the clubs would exchange match point for point upto an 18-18 score. 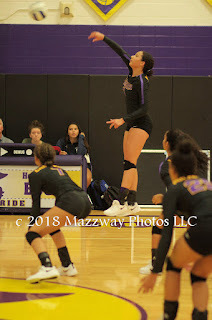 Starting with a small Sophie DeFaria service run the Lady Wolf Pack would take the first game 25-19. 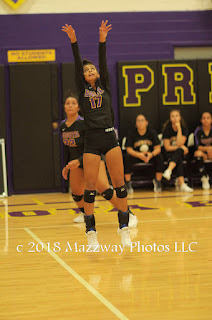 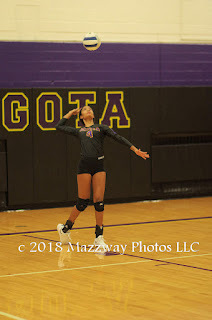 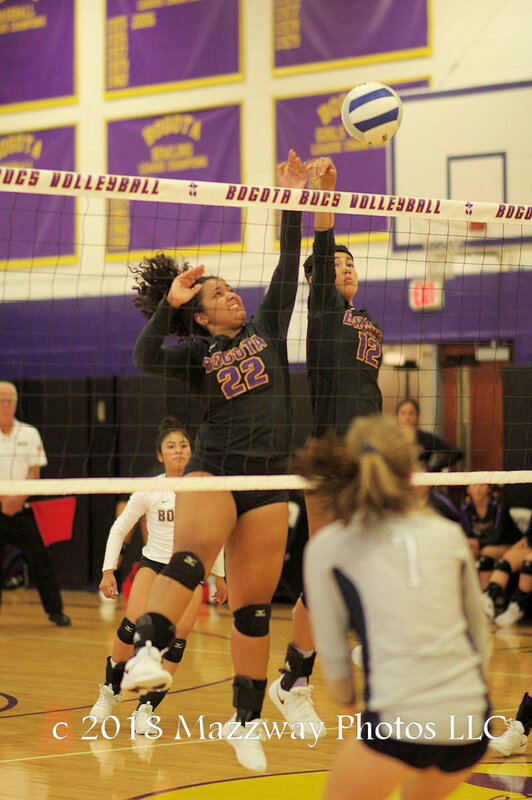 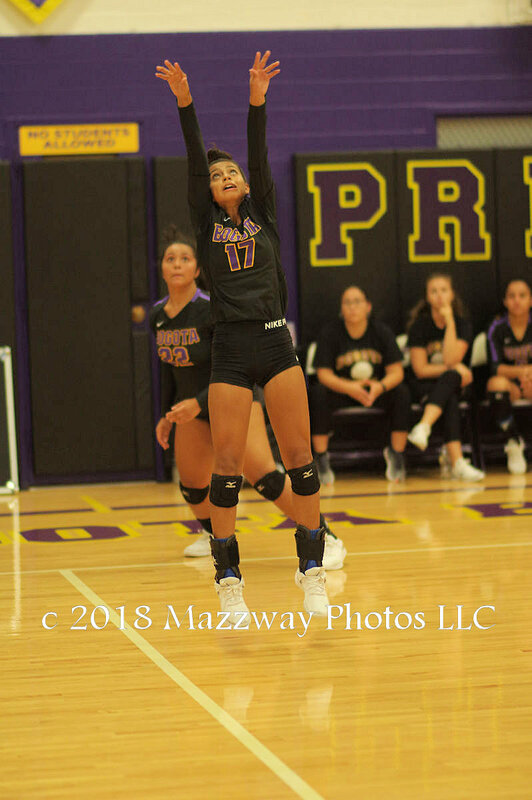 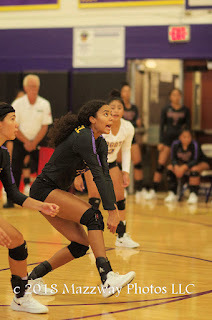 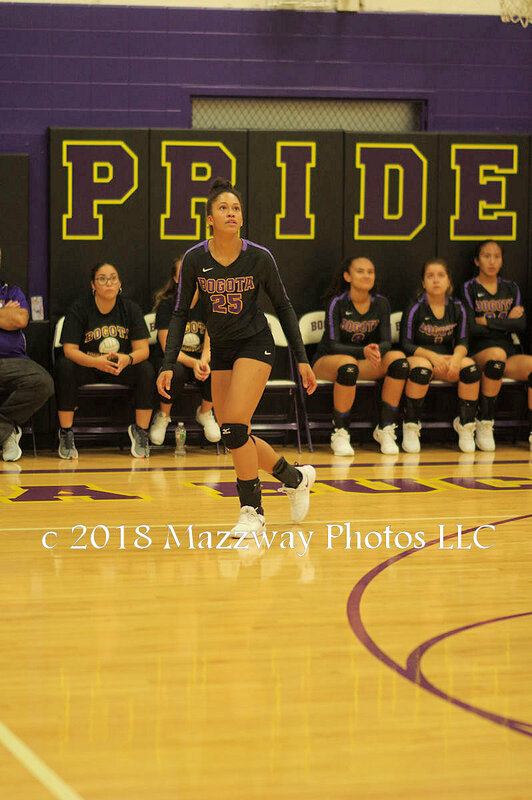 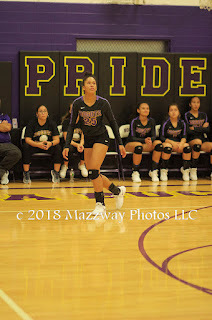 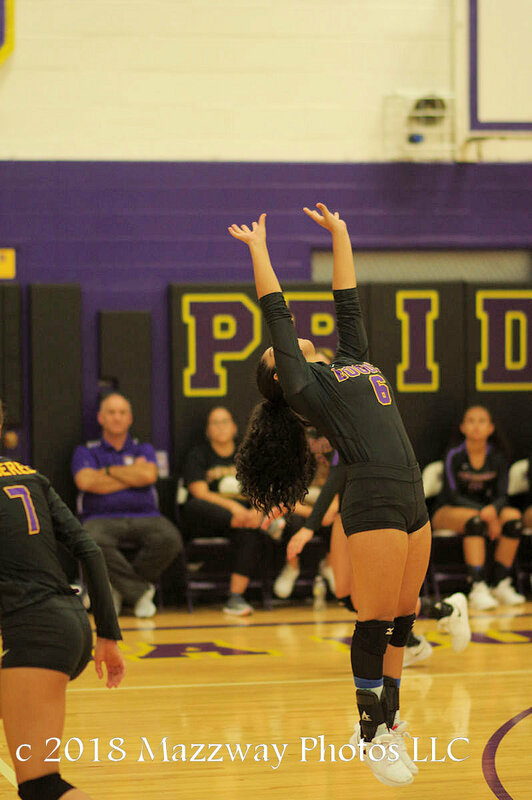 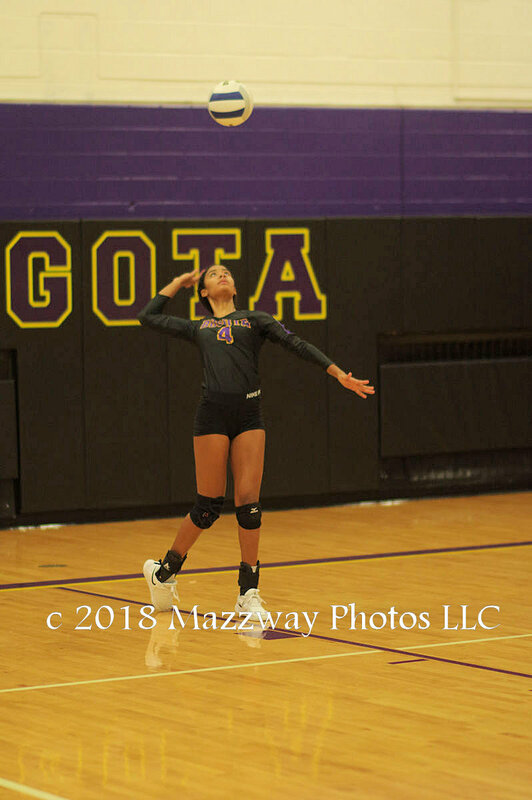 The second game would start out with serving by Julianne Corniel and Nylene Mateo allowing Bogota to take a 9-2 advantage. 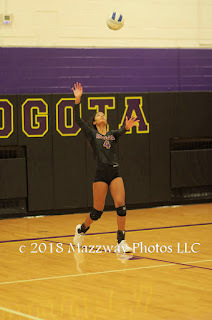 West Morris would close to with in five points, but Bogota move on to a 25-16 win to tie the match at 1-1. 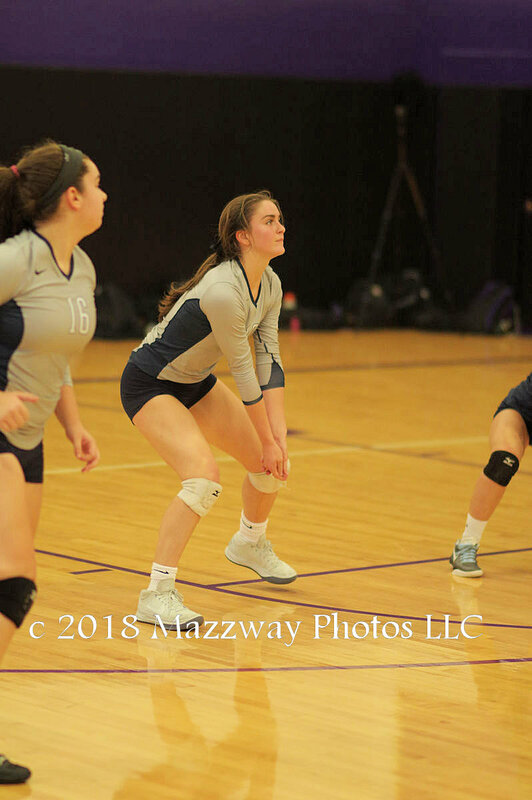 After West Morris won the coin flip to start the third game, with that they choose to defend the North end of the court. This allowed the Lady Bucs to serve first. Julianne Corniel would stake Bogota to a 5-0 lead. This was followed by Leila Ksiyer pushing the led to seven points. 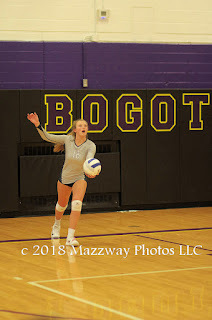 Bogota would need every on of those early points as West Morris would not let the home side get a double digital led. Ast he match moved toward a finish the Lady Wolf Pack made another strong comeback to make a one point game at 21-20 for the home team. 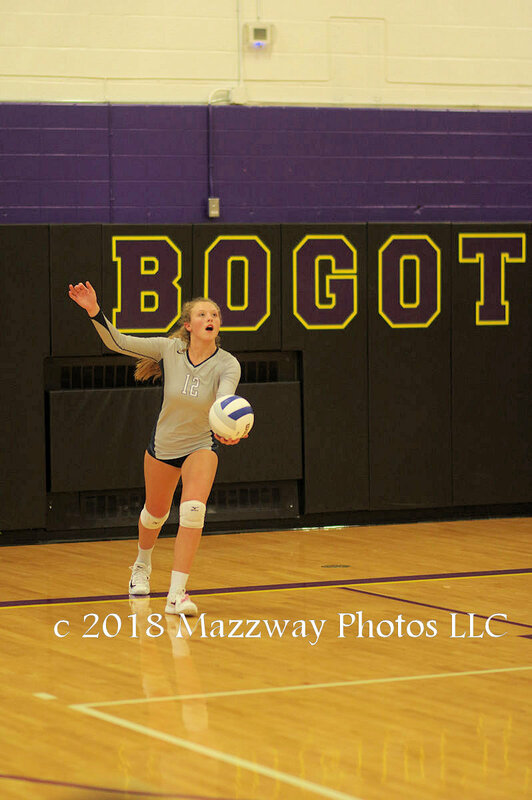 Even when Bogota was a single point from the match win, West Morris push the game to its regulation limit. The Lady Bucs would win the final point, the game 25-23, the match 2-1, and 500 for their Coach Brad DiRupo. 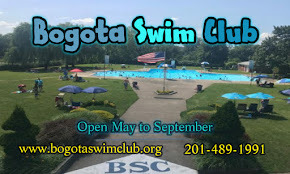 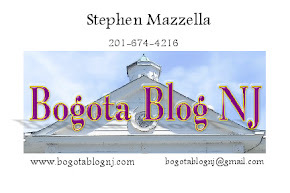 Bogota's record is now 7-1. They next play on Tuesday-25- September again Midland Park. 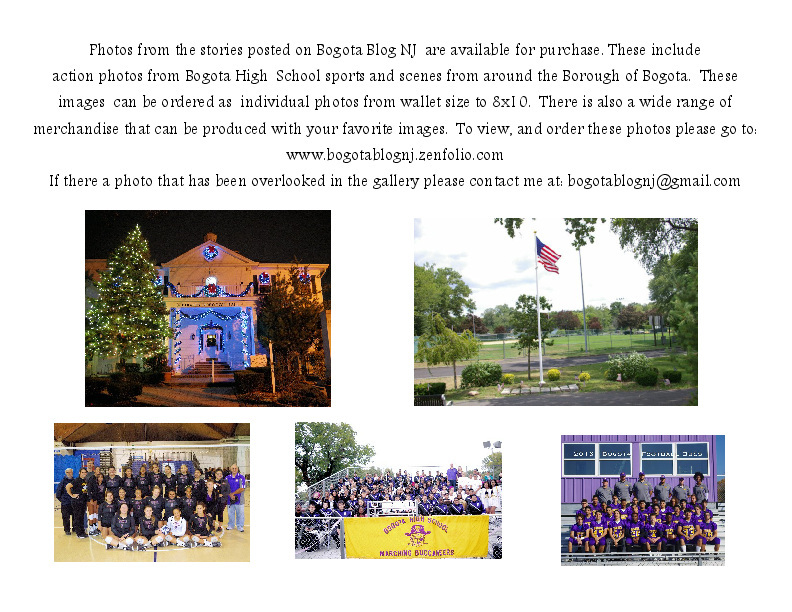 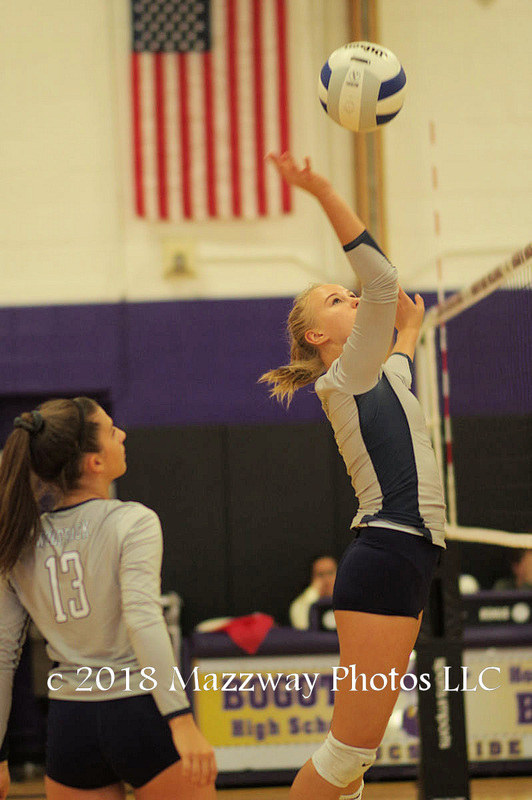 This will be played at home in Speary Gym with the first serve scheduled for 7:00p. 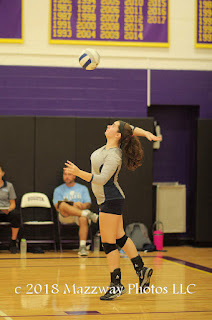 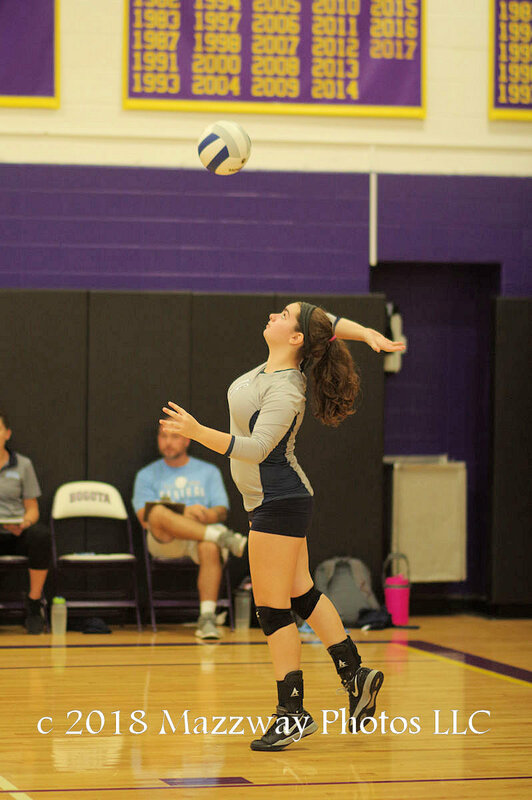 Liz Gialanella had a match high of 18 Kills, and led West Morris with 9 Service Points. 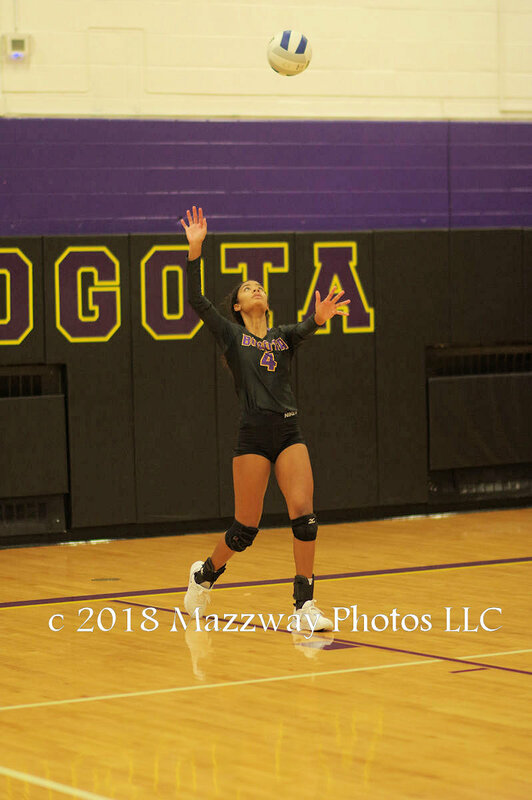 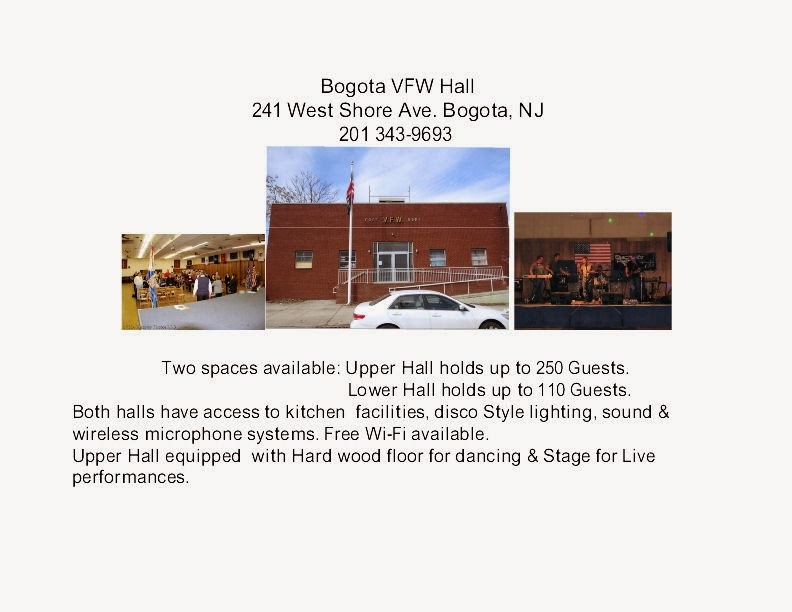 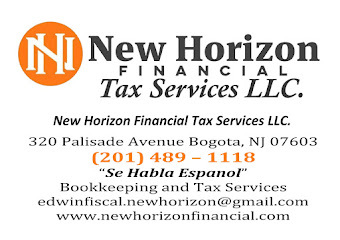 Bogota's Alyssa Vazquez would have a match high with 20 Assists. 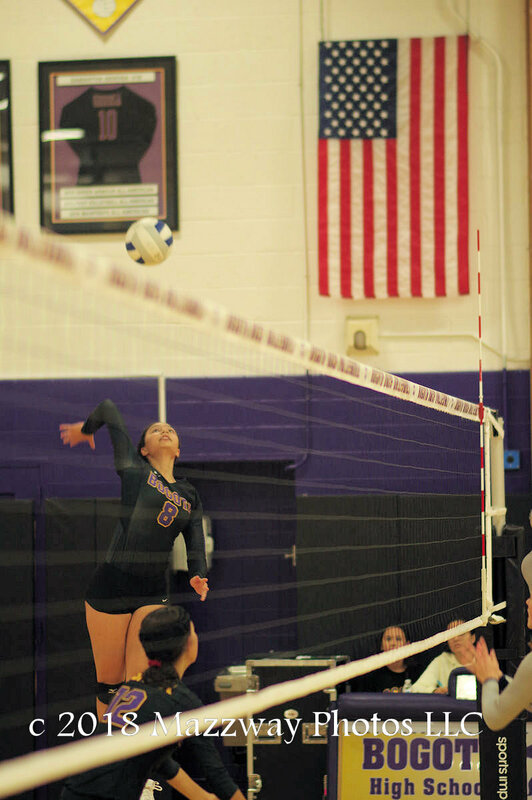 Sophia Marquez lead all players with 20 Digs, followed by the Lady Wolf Pack's Sophie DeFaria with 13. 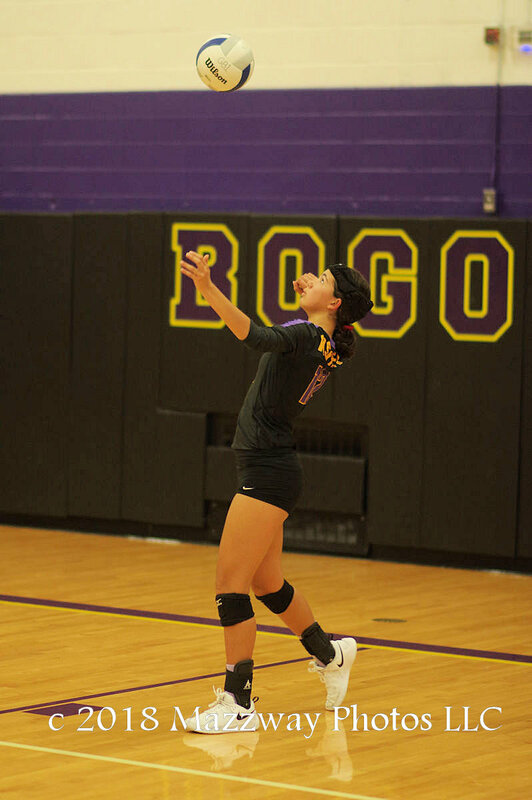 Nylene Mateo would led Bogota with 16 Kills, 10 Service Points (including two Aces). 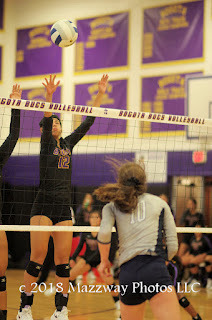 Julianne Corniel would also record 10 Service Points. 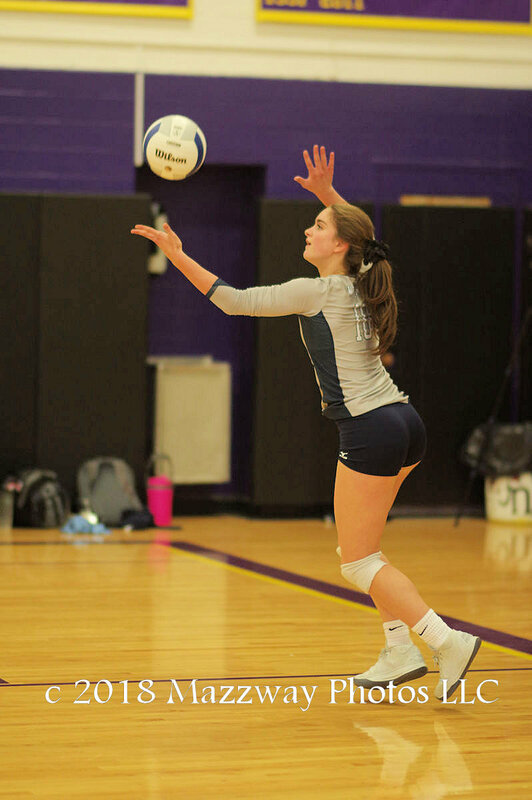 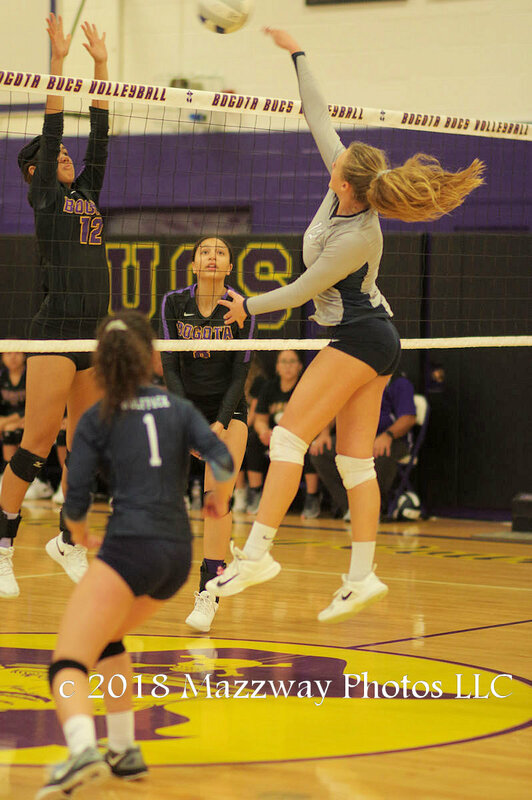 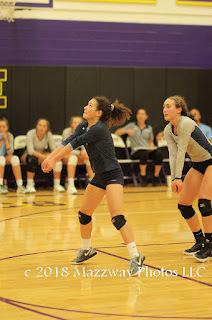 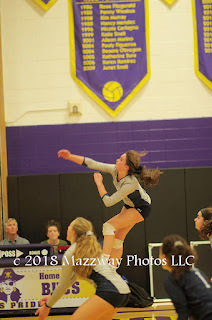 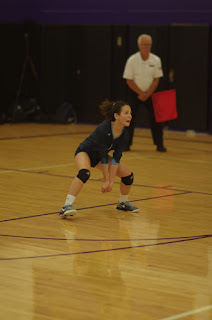 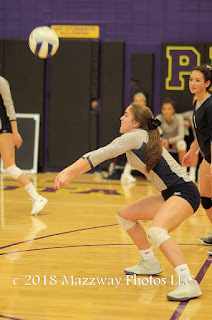 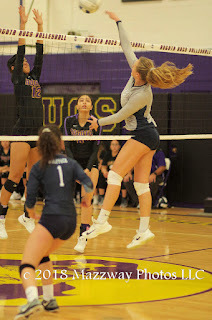 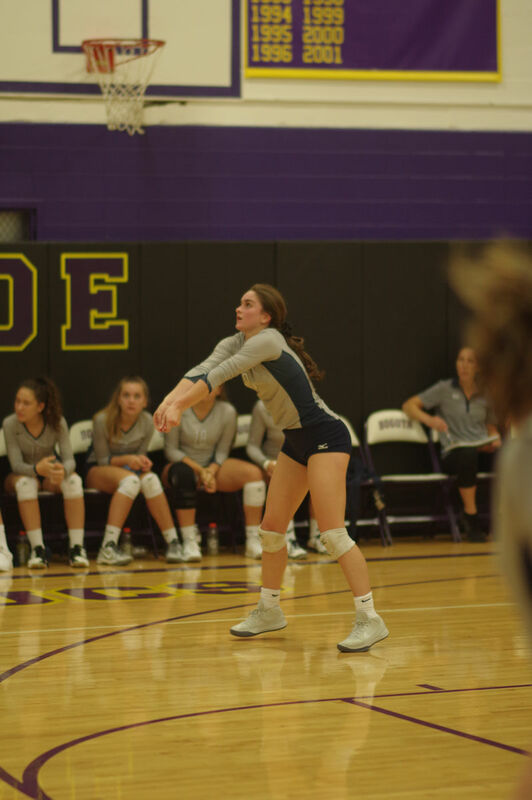 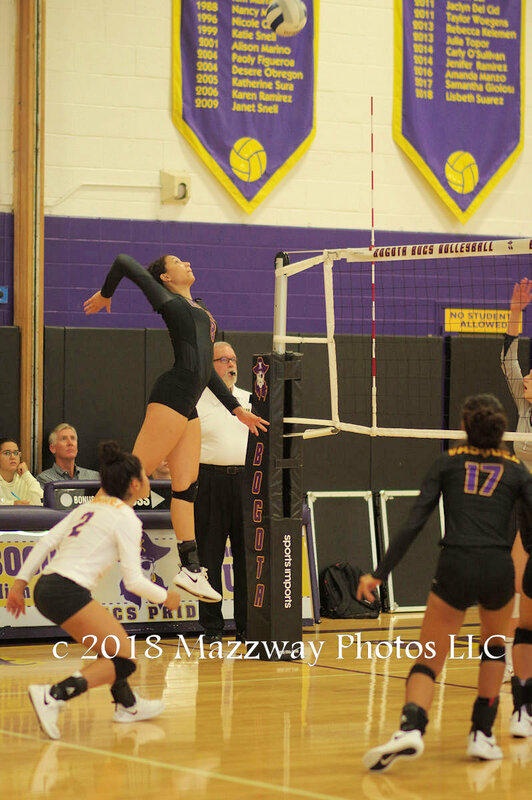 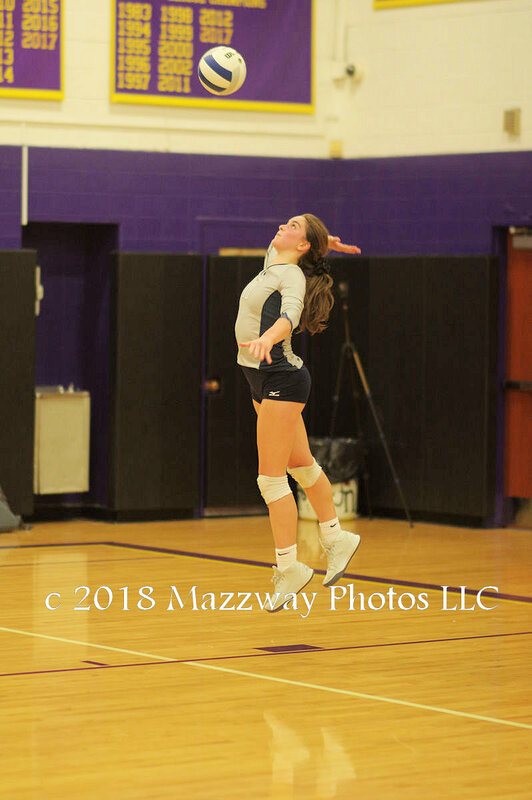 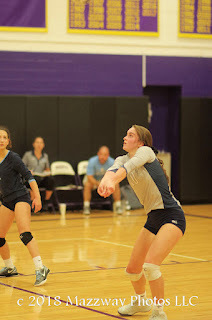 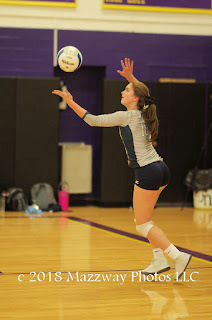 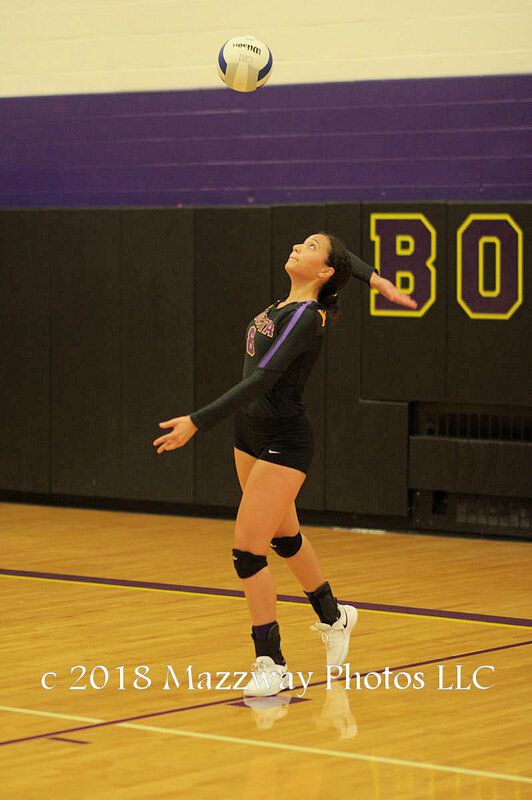 Leila Ksiyer would have a match high with 4 Block, and would also score 2 Aces when serving. Olivia Falzarano would have 3 Block for West Morris.